On ship-tracking websites, the waters are black with dots. Each dot is a ship; each ship is laden with boxes; each box is laden with goods. In postindustrial economies, we no longer produce but buy. We buy, so we must ship. Without all those dots, the world would not work. 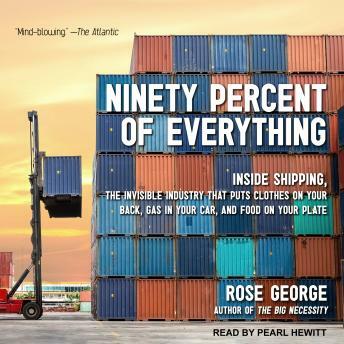 Freight shipping has been no less revolutionary than the printing press or the Internet, yet it is all but invisible. Away from public scrutiny, shipping revels in suspect practices, dubious operators, and a shady system. Infesting our waters, poisoning our air, and a prime culprit of acoustic pollution, shipping is environmentally indefensible. And then there are the pirates.